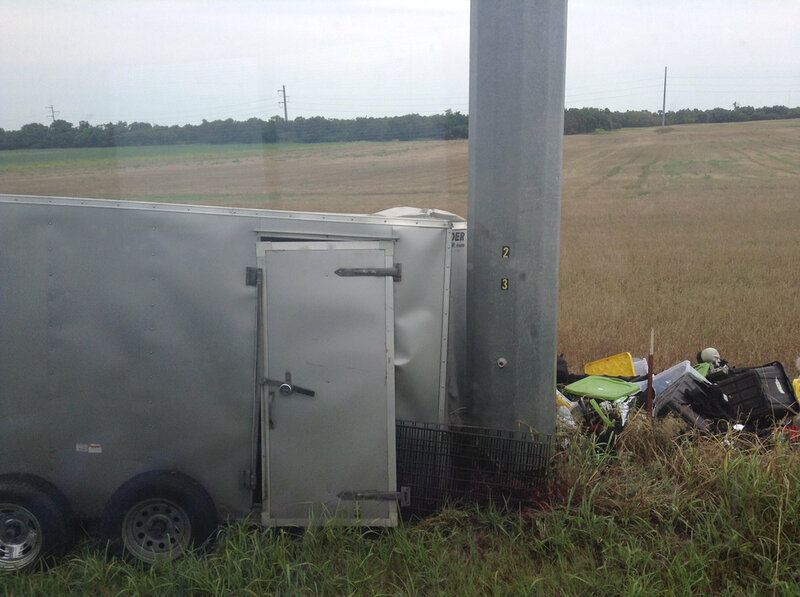 We had a pretty crazy trailer accident, and we're okay. Nobody's hurt, thank goodness! Junior's kick drum, the trailer, part of the bus and a bunch of our merch and gear didn't make it, though. The damages are pretty hefty, and we're still putting our stuff back together and assessing what can be used and what's totally lost. 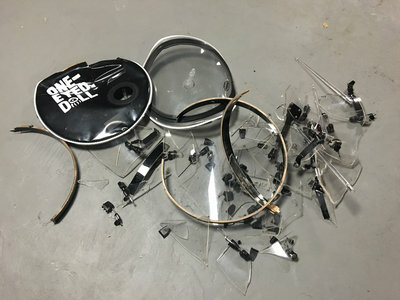 Pitch in $10 or more to help out, and we'll send you a small piece of Junior's kick drum, signed by the band. You can choose to give more. The highest paying fan will get the head with the logo (the front part). The money from this will help with the cost of the damage, a new trailer, mechanic fees, gear and merch replacements, etc. The kick drum piece will be mailed to you after tour's over, along with a long distance hug.